Impregnated with sterile gel to treat superficial and partial burns. The cooling properties of the dressing help to halt the progression of the burn and minimise further tissue damage. Conforms to BS 8599-1 requirements for burns dressings. 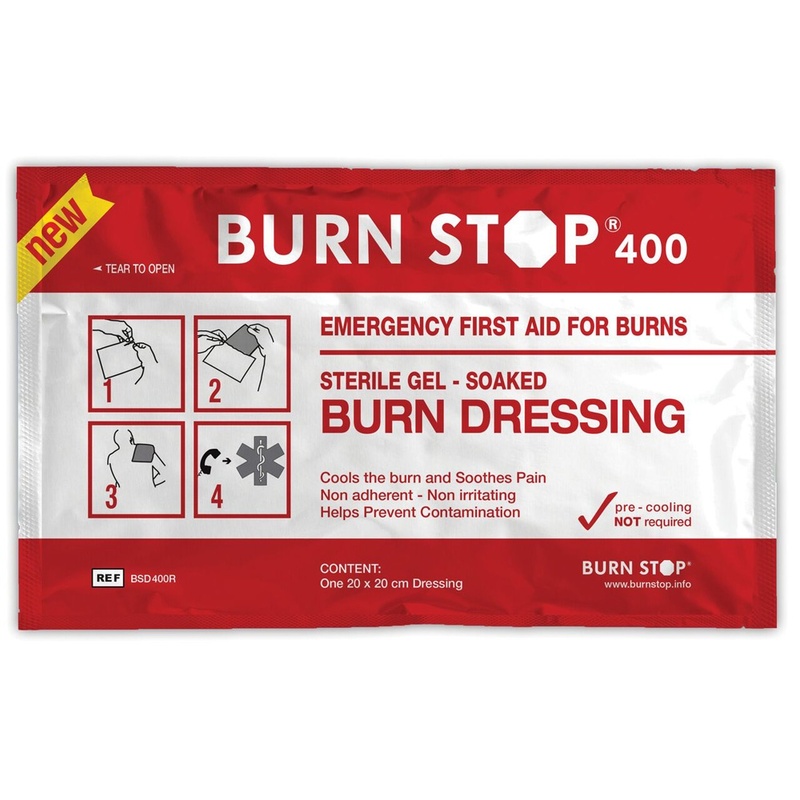 The Burn Stop sachet contains the cooling and sterile gel that can be applied quickly to minor burns and scalds. Not only does this provide immediate treatment for the burn and stops damage to surrounding skin tissue but also helps to prevent infection, a common side effect of burns.